A totally unique and spectacular mobile pop up bar experience. We offer a range of vehicles to suit your event; two beautiful Piaggio three wheeled Italian vans and a bespoke Parisian tipsy tricycle. We travel nationwide and provide a team of trained and professional fizz hosts. You can choose a range of drink options; premium fizz, specially crafted fizz cocktails, peroni (or lager of your choice) and some delicious gin combinations served from our co-ordinated gin station easel. 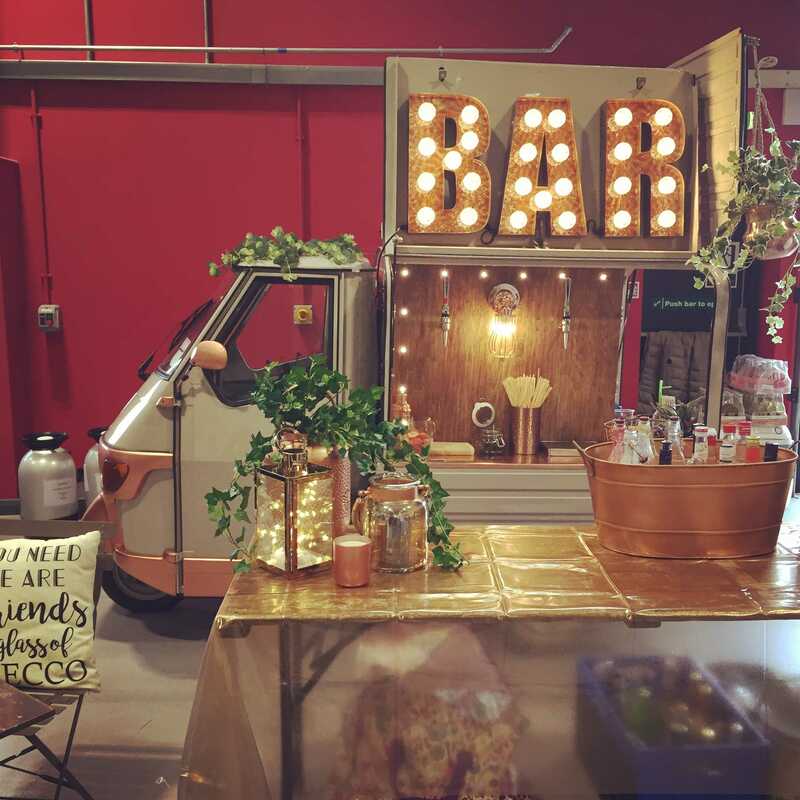 The vehicles look amazing both day and night with individually designed lighting, bar serving area and signage. We are available for corporate & private events, festivals, trade shows, celebrations and private hire. We make any event extraordinarily special and add the real wow factor. We love fizz, we love parties, we love vintage and totally adore what we do!